If you're a high net worth individual, business owner, or entrepreneur, it makes financial sense for us to prepare and file your taxes. We find and identify all possible deductions and tax credits, ensuring you never miss an opportunity to eliminate some of your tax burden. We continually educate ourselves on changes to IRS guidelines and new tax legislation because we're committed to saving each client the most money possible. 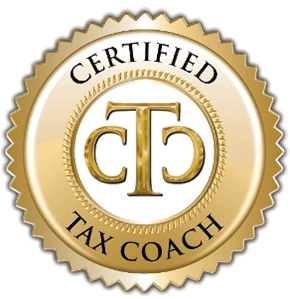 And, because we're a Certified Tax Coach, you can be confident that you'll never pay more than you legally owe. Contact us today at 801-553-1120 to schedule your free consultation and learn about our unique tax reduction services. 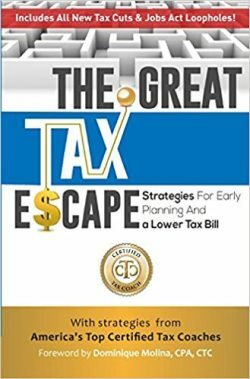 As a thank you for scheduling your consultation, we'll provide you with a free book, The Great Tax Escape.